With Mother’s Day just around the corner, we couldn’t help but introduce you to some of our favourite collaborators. This time, we’re celebrating some top international bloggers who also happen to be mums. 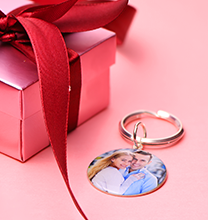 See how they show off their favourite personalised jewellery looks, and use them as inspiration for finding the perfect Mother’s Day gift! Who is this great mum? Introducing the lovely Emma! She’s mum to two adorably little ones and a whiz at meal planning, discovering bargains, and helping her subscribers stay organised. We love her because Emma is creative, dedicated, and stylish – and she loves helping other mums find their happy place. Her favourite MyNameNecklace jewellery is: Emma’s favourite mother necklace is our Russian Ring Necklace with Engraving. It’s the perfect choice for her busy lifestyle, and it looks just fantastic on. Quote: “When my children ask how they got their names I will lie and come up with some story from history involving great heroes and heroines. As "Mummy was watching the Kardashians and quite liked the fact that Kris had named all her kids starting with a K like her" doesn't sound quite as romantic. Thanks so much to @mynamenecklaceuk for sending me this amazing personalised necklace I shall keep forever. All their products are made from sterling silver, gold plating or solid gold and they are fab gift ideas for any occasion LIKE MOTHERS DAY”. Who is this great mum? 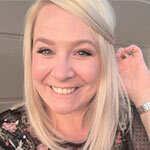 Mattie James is a fashion maven, mum to a sweet baby girl, and creator of a business plan just for style bloggers. We love her because she’s sharp, intellectual, and always positive, Mattie is one of our favourite mum bloggers. She’s definitely an inspiration to others, whether helping them transform business ideas into reality or treating them to new style ideas. Her favourite MyNameNecklace jewellery is: Mattie appreciates the sleek style the My Name Necklace Roman Numeral Bar Necklace with Gold Plating brings to her wardrobe. When she’s not wearing her favourite bar necklace, the odds are good that she’s sporting our Small 18k Gold-Plated Silver “Carrie” Name Necklace, which offers similar go-everywhere appeal. Gold-plated jewellery looks amazing on Mattie while complementing many of the looks she loves. 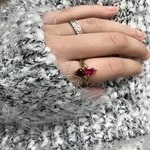 Quote: “My favourite jewellery is delicate, gold pieces that are personalised. Currently loving my @mynamenecklace personalised 14k gold Carrie name plate necklace Hubs got me and Roman Numeral bar necklace with Maizah's birthday. 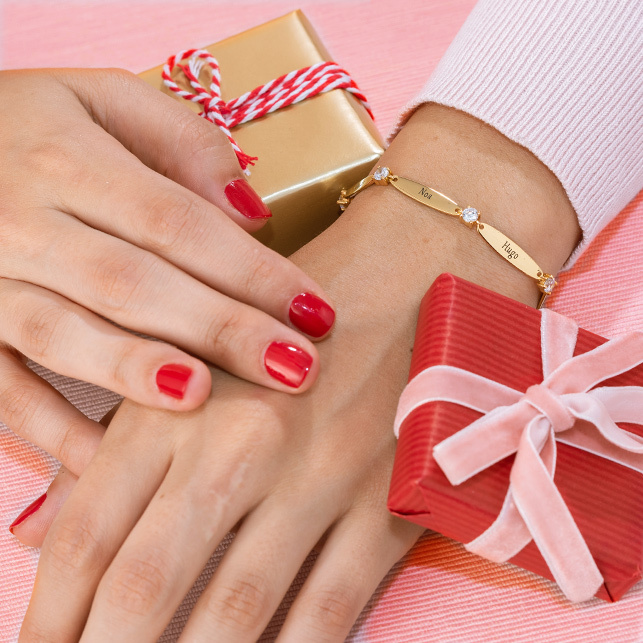 These are perfect gifts with Mother's Day coming up”. Who is this great mum? Meet Julia Gasparini, music lover and mum to a beautiful little girl. We love her because Julia is all about embracing the fun in life, and she reminds us that every mument – even the simplest ones – can be completely carefree. 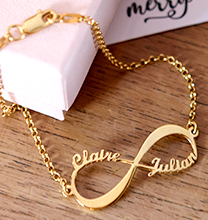 Her favourite MyNameNecklace jewellery is: Fun times at the beach call for laid-back style, so it’s no surprise that Julia enjoys wearing personalised jewellery, including our 18k Gold Plated Engraved Heart Necklace. 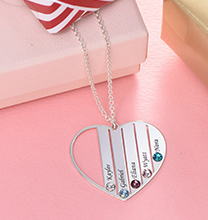 With family adventures and Julia’s unique fashion sense in mind, a heart pendant necklace helps her celebrate her own circle of love everywhere she goes. Who is this great mum? A busy mum to one pony-loving little girl, Sonja loves furnishing, fashions, and decorating – not to mention her own mum! We love her because Sonja is a loving, giving person, and we appreciate that she shares her family’s journeys with the world. We appreciate her delicious recipes, too! Her favourite MyNameNecklace jewellery is: This time of year, Sonja’s thoughts turn to the joys of motherhood, leading her to treat her mother to a Mother Necklace with Personalised Initial Discs from My Name Necklace. This beautiful circle necklace celebrates the joys that come with living each day alongside those who mean the most to you – whether that’s during a swimming holiday, while cooking fantastic meals, shopping for mum and daughter outfits, or just spending time together. Who is this great mum? Introducing Grisha Moskva, leading style blogger and mum to a chatty daughter and a busy little boy. We love her because of Grisha’s colorful approach to life, as well as her knack for creating beautiful photo layouts that manage to tell an entire story without ever saying a word. Well done, Grisha! Her favourite MyNameNecklace jewellery is: Grisha loves her Personalised Birthstone Ring with Gold Plating, as it is both meaningful and stylish – and just right for keeping thoughts of her little ones close no matter where life takes her. Whether she’s sewing, arranging flowers, or showing off her latest look, she finds that a birthstone ring for Mum is the perfect accessory. Who is this great mum? As mum to adorable Nathan, and wife to Paul, Gosia lives for her family. With a passion for fashion and a love for the great outdoors, Gosia enjoys creating wonderful meals for the ones she loves most. Beautiful photographs, thoughtful, heartfelt posts, and sharing the best things in life make her one of Poland’s top bloggers. We love her because Gosia takes great pride in teaching her son new things, and loves to spend time reading stories together. She shows great care for her family while showing others that it’s possible to maintain a sense of style even when life is at its busiest. She loves MyNameNecklace because personalised jewellery from My Name Necklace keeps her loved ones in her heart even when her production schedule is at its busiest. Who is this great mum? Besides being the proud mum of one lovely little girl named Alexandra, Gemma Marin is an actress, dancer, and model – as well as a top mummy blogger. We love her because Gemma loves to stay active, and brings Alexandra along for all kinds of adventures. She is truly an inspiration! Her favourite MyNameNecklace jewellery is: Gemma loves our Personalised 14k Gold Carrie Name Necklace. Not only is a necklace with a name perfect for wearing with many of her favourite outfits, it keeps Alexandra close to her heart no matter where life takes her. Who is this great mum? Meet Millennial Mama Ariba Pervaiz, who loves to share her passion for beautiful hairstyles, gorgeous clothes, and fantastic makeup with the world. We love her because Ariba embraces every joyful opportunity life brings her way: We can see it in her smile! We truly appreciate here elegance, and we love the style tips, too. Her favourite MyNameNecklace jewellery is: Naturally, this stylish Toronto mum loves the sleek, simple style her Two Names Ring in Rose Gold Plating offers! 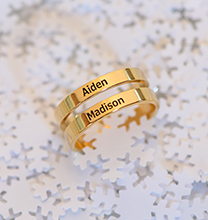 It’s a simple, contemporary take on the classic mother ring, and serves as a constant reminder of her two beautiful children. Our collaborators love to capture life’s meaningful muments, and that’s exactly what we love to do with our jewellery at My Name Necklace UK. 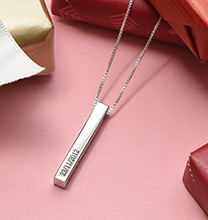 Our personalised jewellery collection is made up of special, unique reminders of the passion you feel for life and the ones who make every mument matter.